comb honey section production easy and profitable for the beekeeper. The Ross Round Comb Honey System is the best comb honey system on the market. Not only is it the best, its the easiest to use and will produce the nicest most consistent comb honey. The reason so many beekeepers turn to the Ross Round Comb Honey System is because you can still manage and manipulate the frames individually and harvest completed sections out of supers that are not fully filled out. With a low cost of goods on each piece and selling at a higher price then liquid honey, its easy to get your investment back and make more on your honey. Offered in the standard langstrogh 10 frame and 8 frame sizes, its easy to choose which one you need, and will work with your current langstrogh hive setup. More and more consumers are looking for comb honey, start making it today! ROSS ROUNDS™ SECTION FRAMES are brown in color to contrast with the white rings. This eliminates costly and messy mistakes from forgotten rings. Each Round Section Frame holds four sections. We recommend using eight (8) Round Section Frames in a Langstroth 10-frame size section super, 4 1/2 inches high, equipped with fixed blocking and a frame-rest board in each end, plus blocking and a fixed follower-board on one side and a loose follower-board held in place by springs on the other side. We also recommend that Beekeepers using Langstroth 8-frame size equipment use seven- (7) regular Round Section Frames plus thin follower-boards on each side. Most honey supers or racks in use in other countries can be adapted to hold ROSS ROUNDS™ section frames. ROUND SECTION RINGS These rings are molded of natural white plastic to contrast in color with the frames. The inside of the ring is smooth - there are no projections to cut off with the honey. Each section requires two of these rings - eight rings are required for each frame. How to: Open the two frame-halves like a book, insert a ring into each cavity, lay a piece of foundation on one half, place the other frame-half on top, and the frame is ready to be placed in the super. 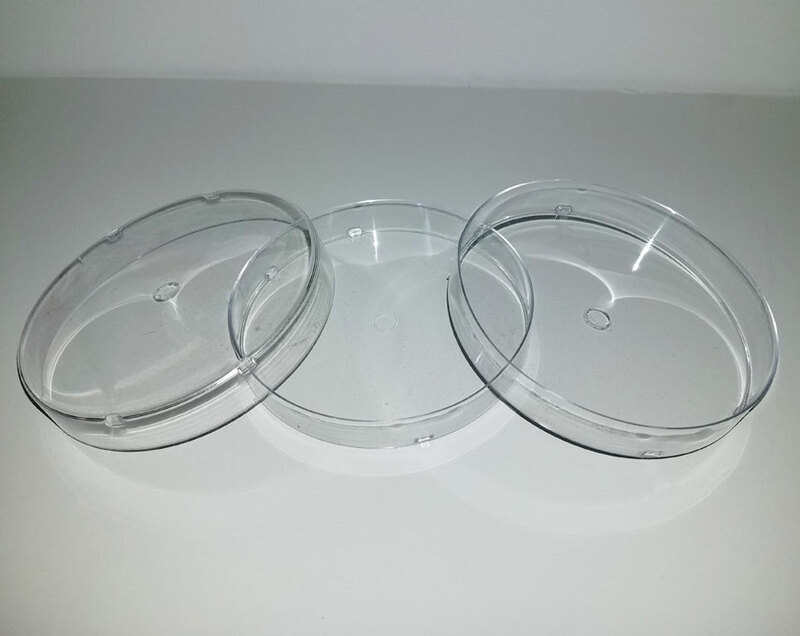 ROUND SECTION COVERS (CRYSTAL AND OPAQUE) Crystal-clear molded plastic covers fit on both sides of the finished section and are held in place by a wrap-around tamper-evident, self-adhesive label. The covers protect the section, and with the label, form a complete and attractive package ready for sale. Two cover pieces are needed for each section. 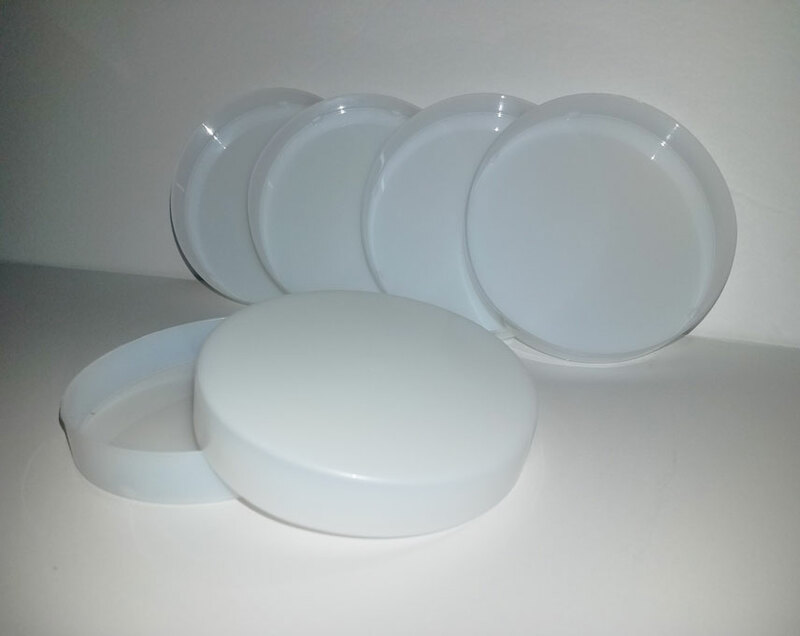 We also make a white translucent cover for those who prefer an opaque cover on one side of the section. (This is useful in case one side of the comb is more attractive than the other). ROLL LABELS: We furnish an attractive self-adhesive round section label that has proven to be very popular and has wide product recognition - when people see this label, they know the package contains comb honey. The design provides a space for your rubber stamp or stick-on label. Labels now have removable adhesive, are tamper-evident and will could peel if not applied with clean hands and onto clean surfaces. Tip: These labels need to be need to be placed straight the first time, as they are hard to adjust. These stock labels are printed only in English, but others are available from sources in Canada or France printed in French, or French and English. Most commercial producers print their own labels, or sell in large bulk shipments without labels. Super Springs to hold all the frames tight and together in the super are a important part of the system. Our springs are zinc coated to prevent rust and are made out of a very high grade spring steel. You’ll be able to get many uses out of these and still look new and hold just as strong as the day you purchased them. Round Section Frames, Rings, Covers, and Labels are not Ross Round only products. Wood Supers, Foundation, Books and Super Springs for round section production are available from Ross Rounds and its dealers. Several good comb honey books are on the market; of these, Richard Taylor's Comb Honey Book is said to be the easiest to read and follow. NOTE: Although round sections can be produced in the usual 4 3/4 inch high comb honey supers, it is better to use a 4 1/2 inch high super, as this height reduces the opportunity for burr comb. If burr comb is filled, when the super is removed honey will drip down on the sections in the super below. The honey will give the burr combs an unattractive "wet" look. If, for some reason, you have to use 4 3/4" equipment it is best to thoroughly scrape the supers approximately 24 hours before you remove them from the hive. This will give the bees enough time to clean up the honey drippings, and does not give them enough time to build new burr comb. Several manufacturers make a 4 1/2 inch high super just for round sections. If your dealer does not carry this size, cut 1/4" off all sides of a 4 3/4" super before assembling. The proper foundation is "thin surplus" comb honey foundation, size 4 in. x 16-1/2 in., thirty sheets per pound. If your dealer doesn't carry this size, 4 3/4" x 16 1/2" is carried by almost all dealers and works just as well; but you only get 20 sheets in a pound.